We've got an eight-feather card today. Why 8? Well, there are 8 letters in "Thankful" and "Hanukkah," 8 nights of Hanukkah, and a CAS-ual Fridays Challenge to make a card using 8 of something. 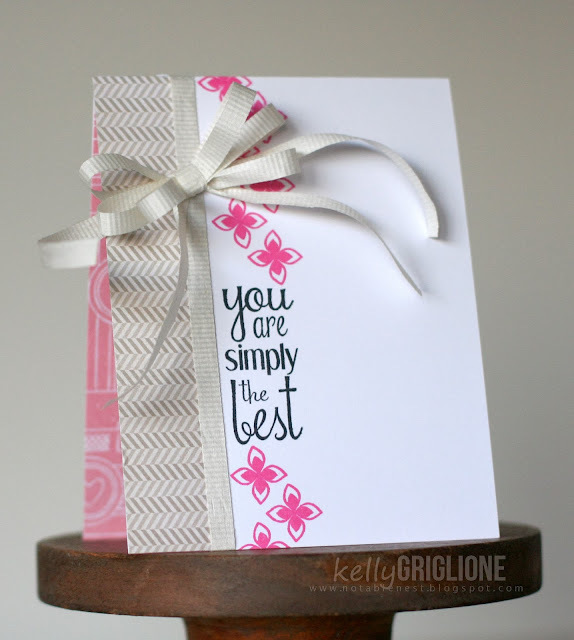 The talented winner this week will win a gift certificate to Simon Says Stamp. Here's the front of the 4" x 4" tri-fold card. And finally the inside. I am so in love with these papers. 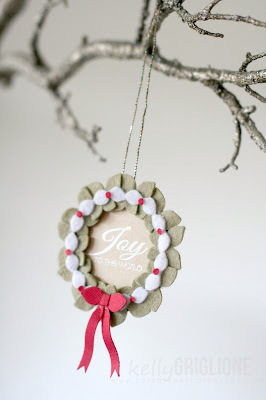 They are all from the American Crafts Dear Lizzy Lucky Charm line. The die letters and feathers are from My Favorite Things Die Namics (High Rise Upper Case and Feathers and Arrows). There is just a tiny bit of adhesive on the bottom of the feathers to keep them in place, but they are meant to be flipped through and pulled out if desired. As an added bonus, there are 8 letter dies on this card ... y-o-u-a-r-e-s-o. It was really fun going through my stamps to find appropriate adjectives (all from CAS-ual Fridays). This idea could easily be adapted to anyone you need to make a card for. I love that you could pick very specific adjectives that would just apply to them. Like "sweet to my kids" or "artistic" ... as long as you like your handwriting you could make up anything for a very personal card. Can't wait to see your 8-related creations in the CAS-ual Fridays Challenge gallery! 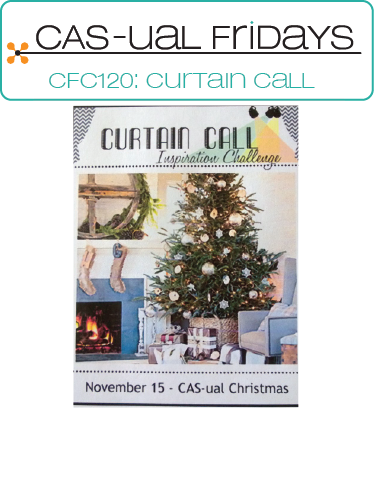 This week's challenge at CAS-ual Fridays is a collaborative one with the very popular and star-studded Curtain Call challenge. The nice thing is that you get two challenges for the price of one this week ... with no extra crafting effort you can link them up to both places! I'm curious to see if the winners will be the same or different at both challenges! 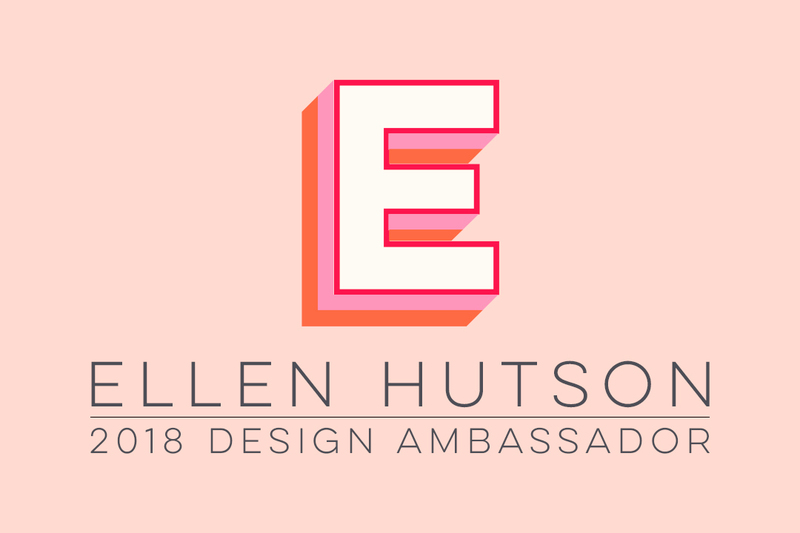 The talented winner will receive a prize from CAS-ual Fridays Stamps, and just in time for the November release. 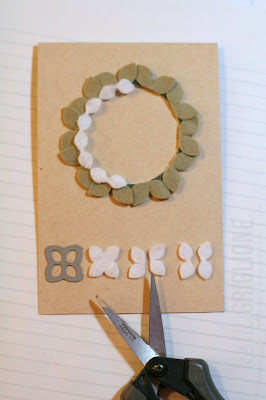 So fun to find different uses for the four petal die. Originally I thought I'd make a Christmas tree from it. That will probably come later, but for this project it turned into a wreath. To make the leaves on the wreath, I die cut felt with the large four petal die and simply cut it in half. All the half pieces are glued to a ring (made from chipboard with circle dies). Next I die cut white felt with the small four petal die, cut that in half, and then straightened out each section so the petals are more linear instead of clustered. 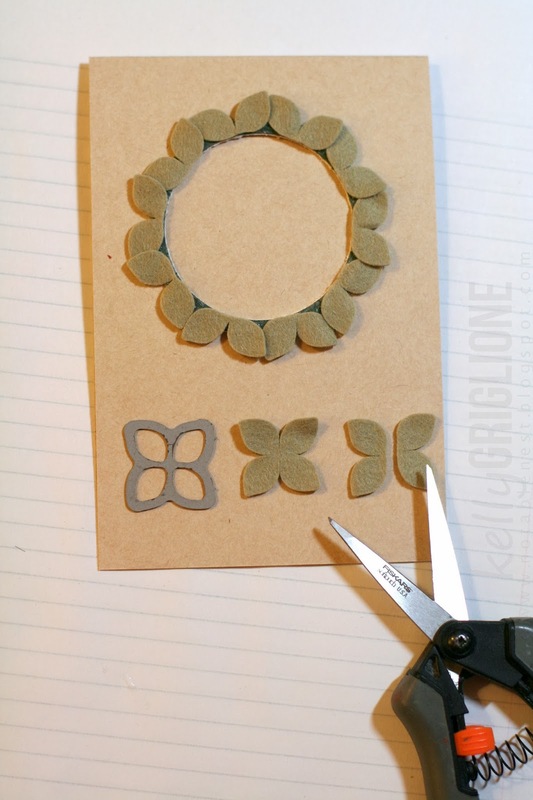 You can do that easily with felt by pulling it, for paper you would just have to crease the middle so the petals are linear. 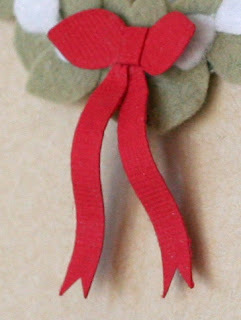 For the bow I used a large four petal die cut in half and straightened out, wrapped a thin strip of paper around for the knot, and cut/notched two long pieces for the tails. 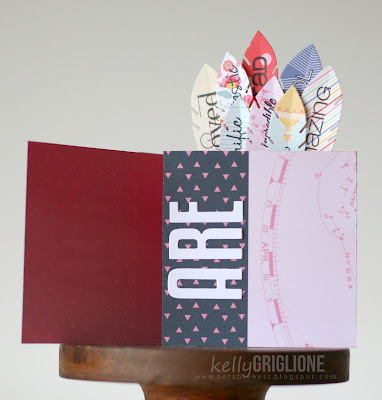 Here's the progression of the card. It started plain, which I liked, but wanted to see what another layer would do. So I added the smaller four petal die on the inside of the wreath. I dunno, maybe a little too chunky now for the card. Then I added berries from a small hole punch. Here's the final card. I used kraft paper based on the inspiration photo. 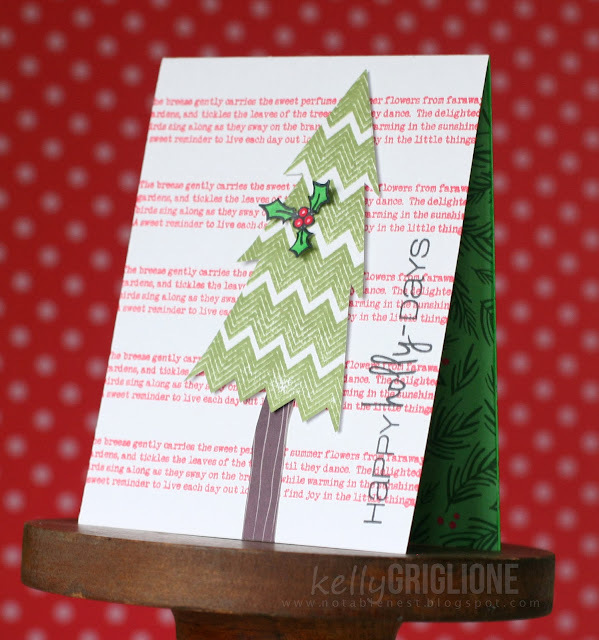 American Crafts Kringle & Co paper on the inside, Christmas Carols for the sentiment. Still, I wasn't as happy as I thought I was going to be. 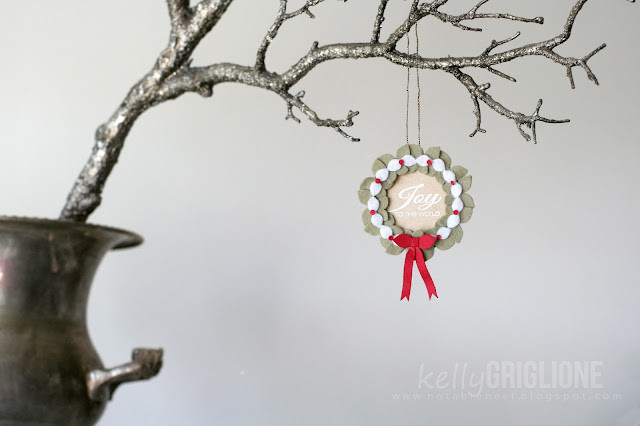 So I turned it into a Christmas ornament. With all the work that went into it, it's nice having it be an ornament because it seems less likely to be thrown away. You never know, right?! 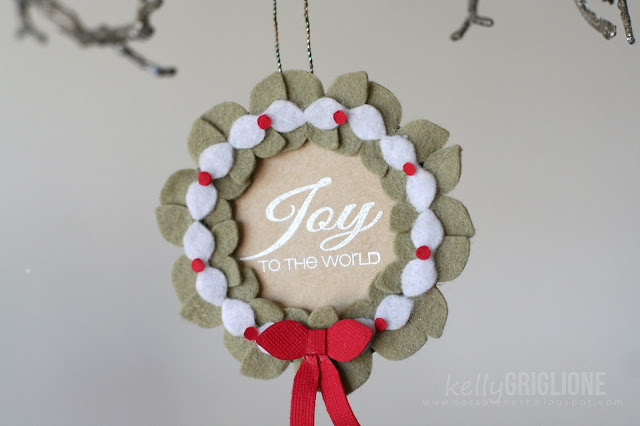 I cut a circle out of the kraft paper, embossed the sentiment, and glued it behind the wreath. One advantage over the card is that it's much easier to make sure the sentiment is positioned straight and just right. I think I'll keep it as an ornament. I am so excited about the strips of text in this last set of the CAS-ual Fridays release! 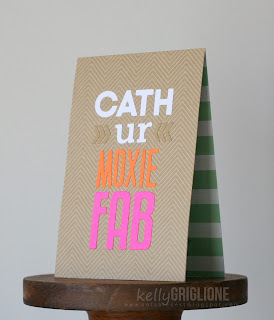 You can stamp them repeatedly together for a background, or use them as stripes like on this card. Other sets used here are the Zigs and Zags stamps for the Christmas tree that I cut out following the zig zags and Merry Kiss-mas stamps for the holly and sentiment. American Crafts Kringle & Co. paper on the inside. Lots of different possibilities with this set, even just by changing the colors. 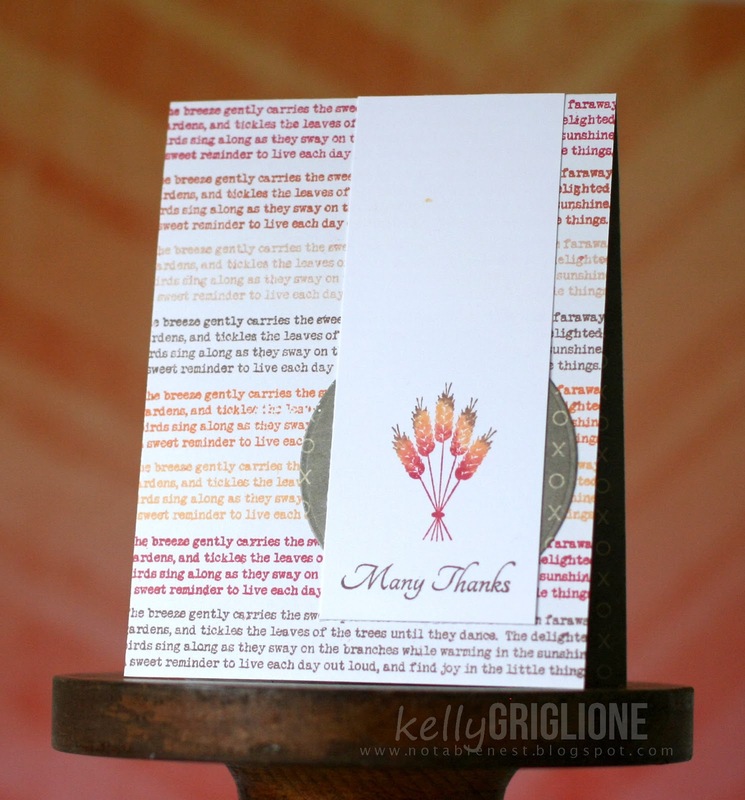 Here's a Thanksgiving-ish thank you card using the wheat and sentiment from Amber Waves. 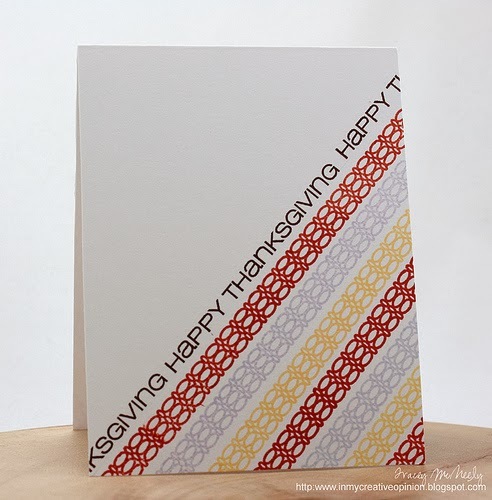 Just grab a bunch of colors and start stamping the text stripes! These stripes have less of a margin between them so they take on more of a general background look. Day two of the CAS-ual Fridays release! 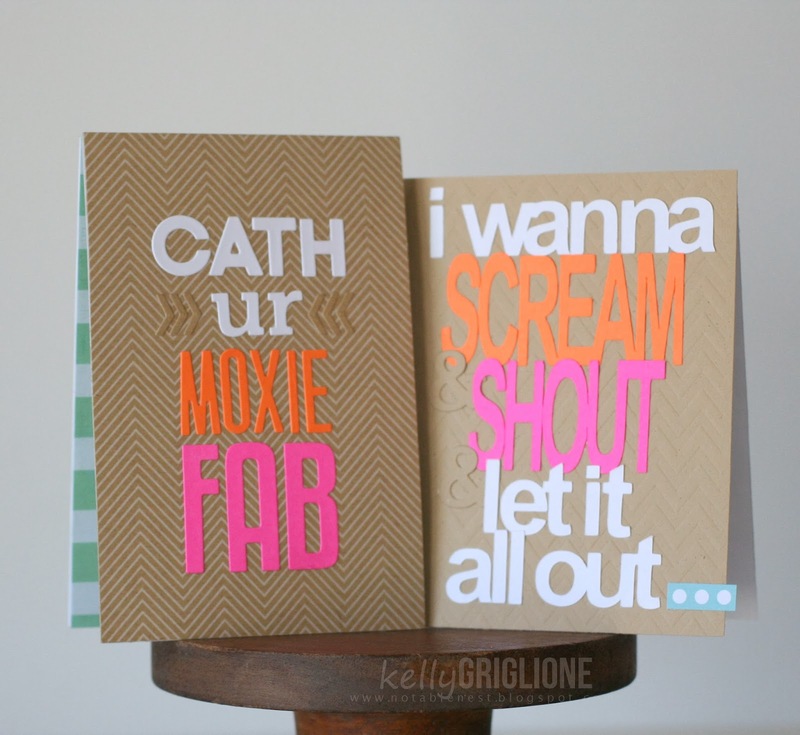 The Wallflower set is full of great sentiments, as you'll see. I love the vertical orientation of this sentiment, which lends itself to fit long, skinny design spaces. 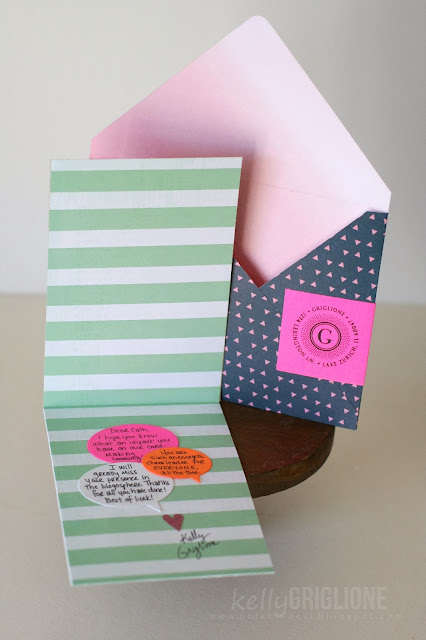 Vintage ribbon, a strip of patterned paper, and Amy Tangerine Yes, Please paper on the inside. I went for a more vintage look on this card, with the dirty gold glitter paper, and the copper ink. 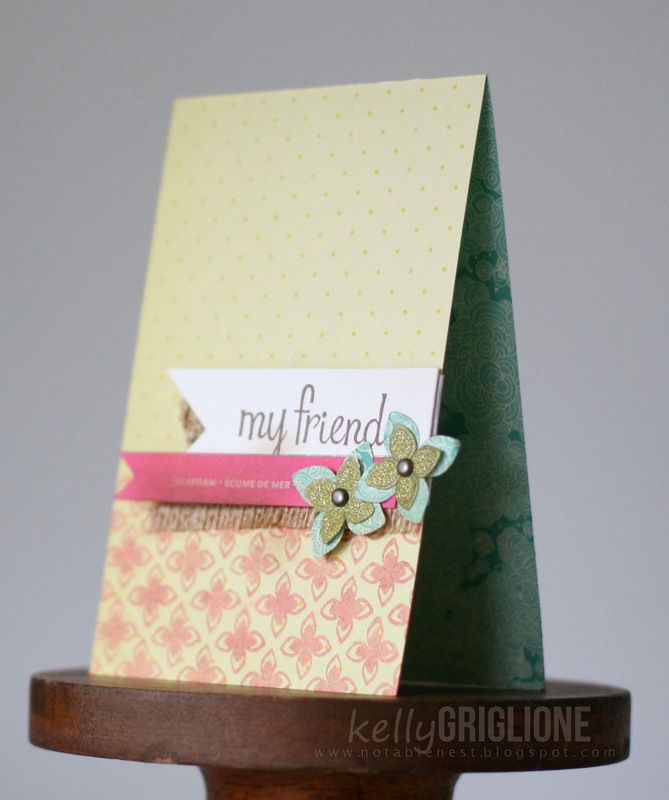 The nice thing about this set is that the border stamp goes perfectly with the $5 four petal dies. Love that extra ridge you get since it's an open die! 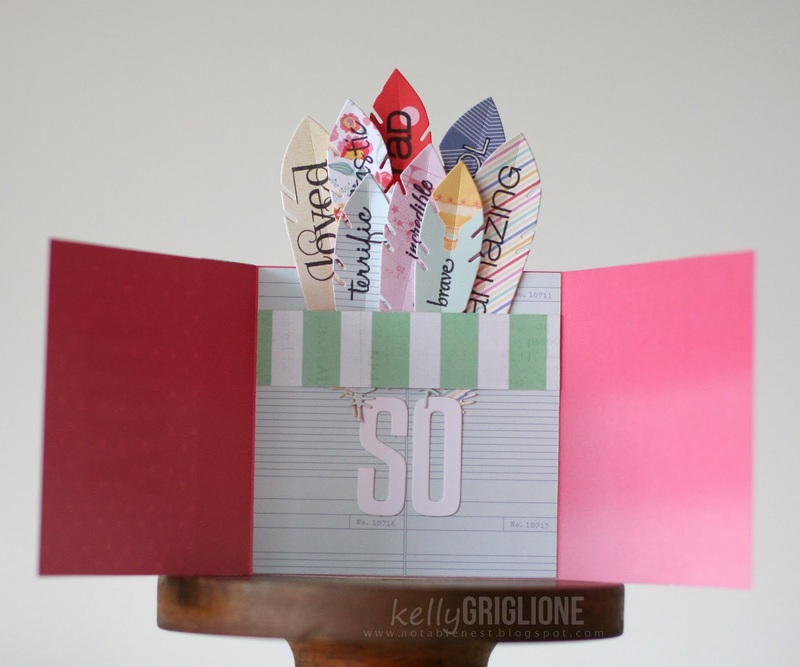 This card was made with the left-overs from the prior two cards. A strip of washi grounds the bottom of the panel. 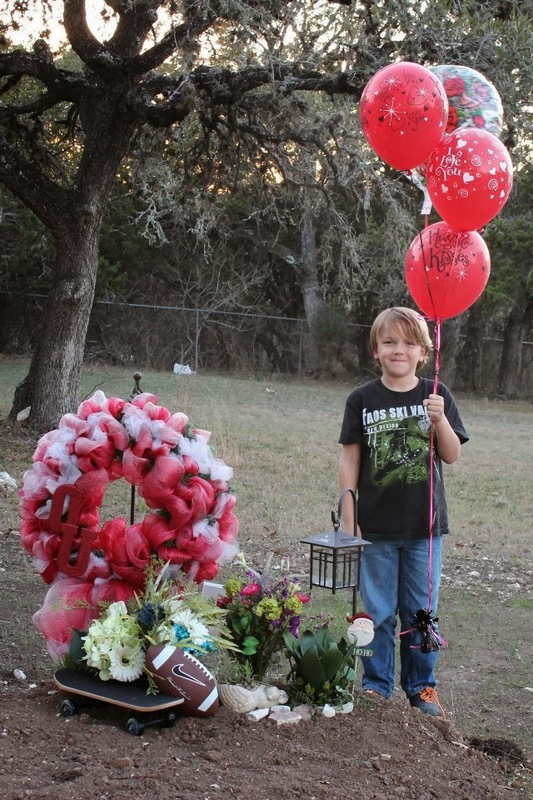 ETA: This post is dedicated to our nephew Samuel Scott Courtney who was taken from us on this day last year. 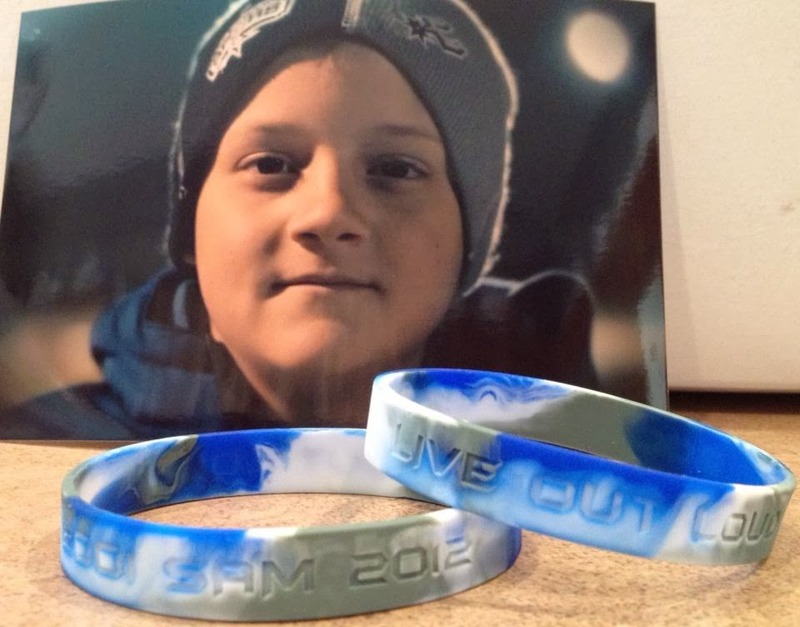 He would have been 12 and just finishing another football season. I sure hope there are pretty rainbows coming for Sam's family, because they certainly have gone through the worst storm ever this year. It wasn't until this morning that I realized my stormy cards were scheduled to post on Sam's anniversary. So very fitting. Sam's brother Ryan at his grave on Valentine's Day this year. Release time at CAS-ual Fridays, with three fun sets to show you this week! First up is a rainbows and butterflies set, which turned out quite stormy for me. I guess rainbows don't always have to be for happy occasions! 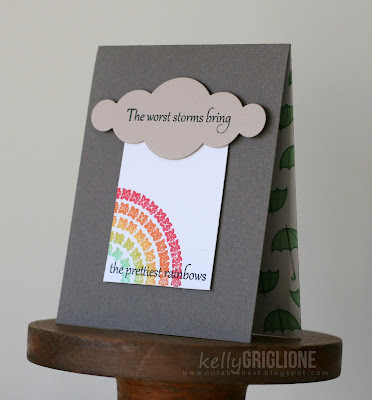 The rainbow is stamped & embossed several times on different colors, cut with a circle die, then layered. 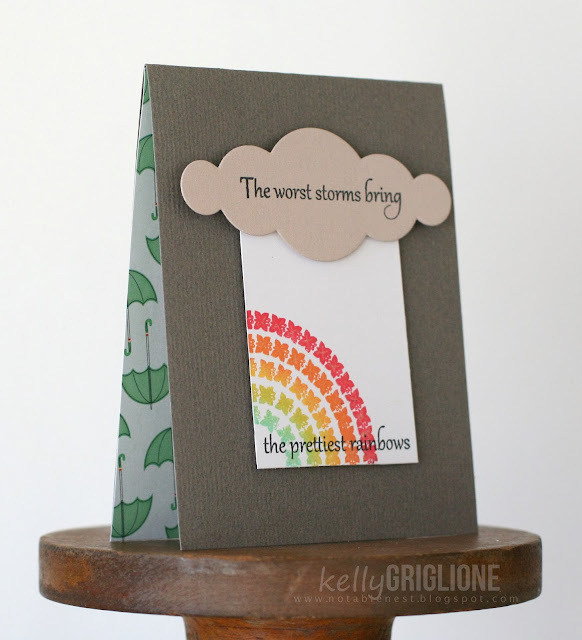 The bubble label die serves as a cloud, and a place to continue the sentiment. 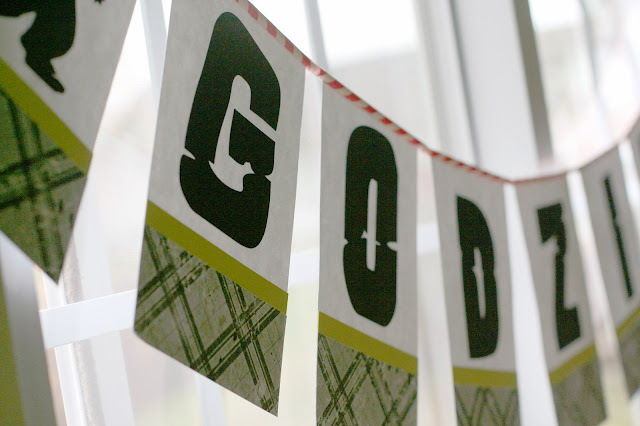 The stormy part of the sentiment used to be on a strip, but I liked it better cut up and scattered. Kinda stormy-like : ) A white outline helps tie it in. 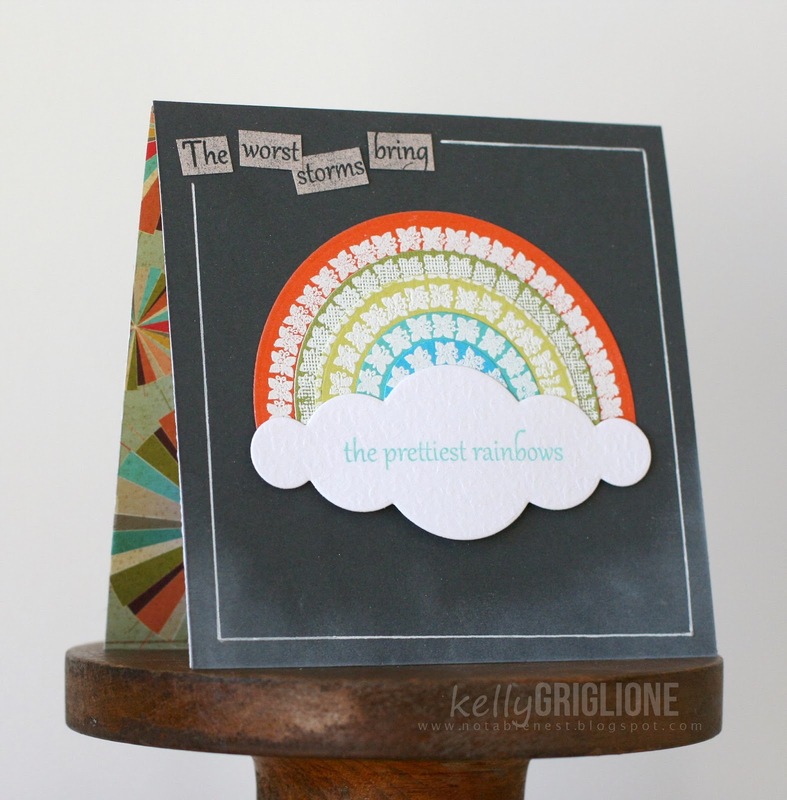 The Studio Calico paper on the inside happens to go with the rainbow. Same die, but a storm cloud this time. 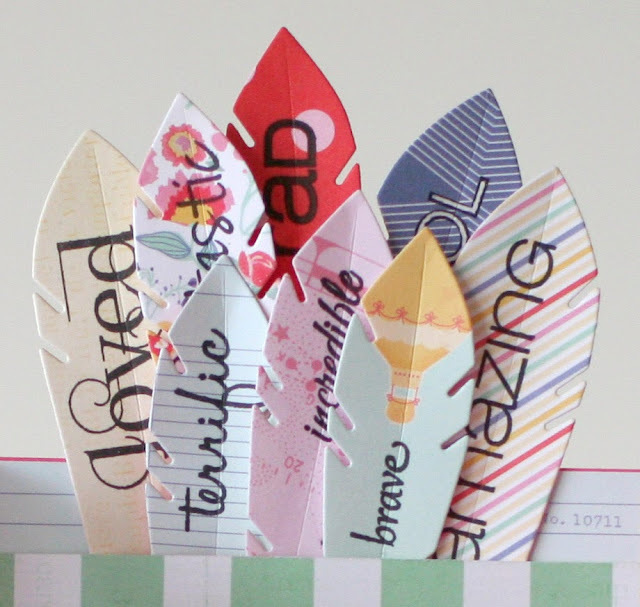 The Memento tear drop ink pads make it easier to ink the different colors on the rainbow. 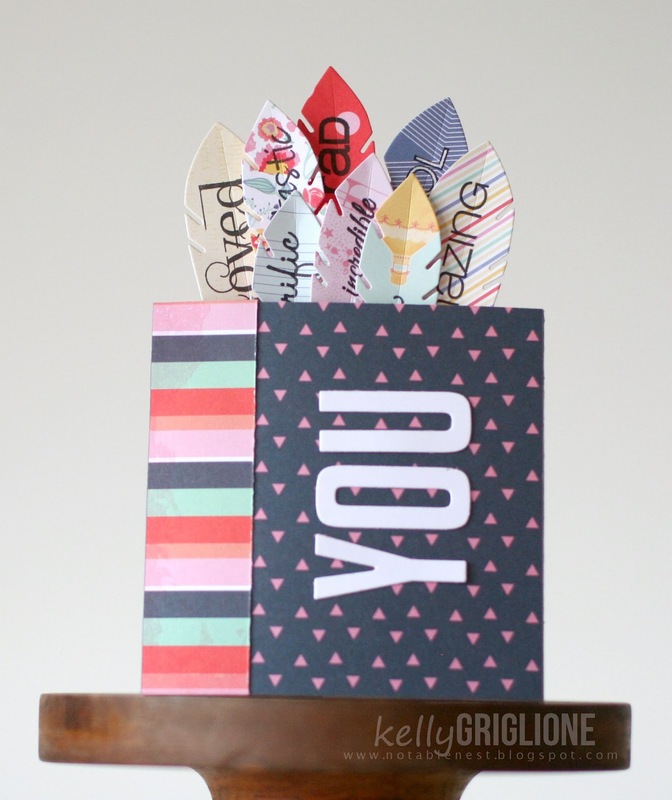 American Crafts umbrella patterned paper on the inside. 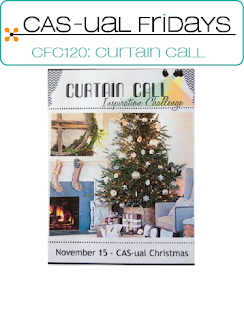 More inspiration waits for you at the rest of the CAS-ual Fridays Stamps Design Team. Stay tuned for the next set tomorrow! Well, it's only been a week and I miss her already! Cath's eye for design coming to my inbox daily from the Moxie Fab World always proved inspirational, and boy is her silence apparent. 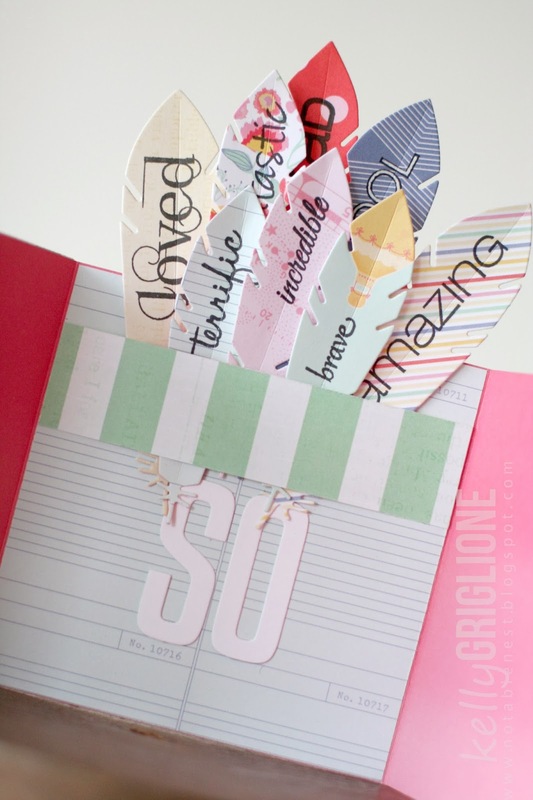 What kind of card do you make for someone who gave so much of herself EVERY day? I was going to pick a favorite challenge and make a card based on that, but how do I know that she'd like the card? So I decided to make a card based on a design that she had pinned (surely she likes those). I used the Britney Spears song lyrics card. Loving my growing collection of alpha dies, even though they're sometimes hard to line up. 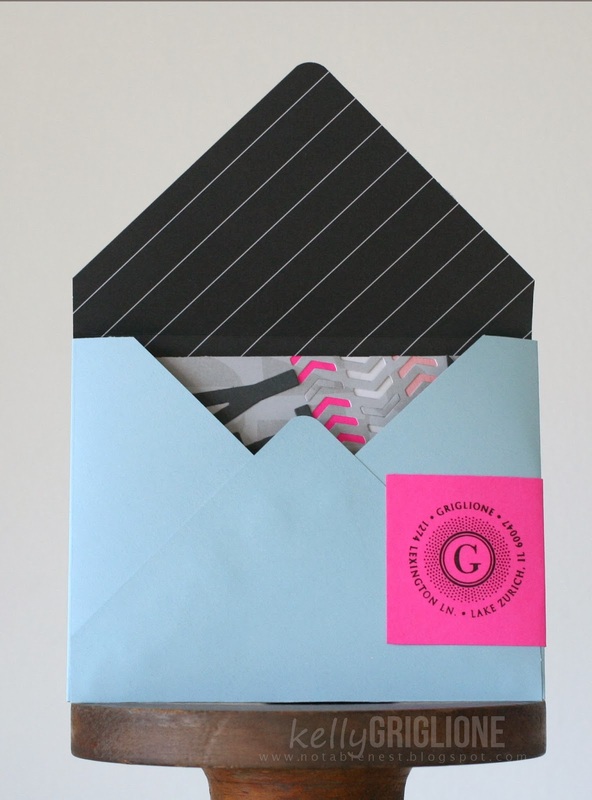 Still loving patterned paper on the inside of the card. Those wide stripes just make me happy. Cath, you are truly one of the brightest lights in our blogging community. 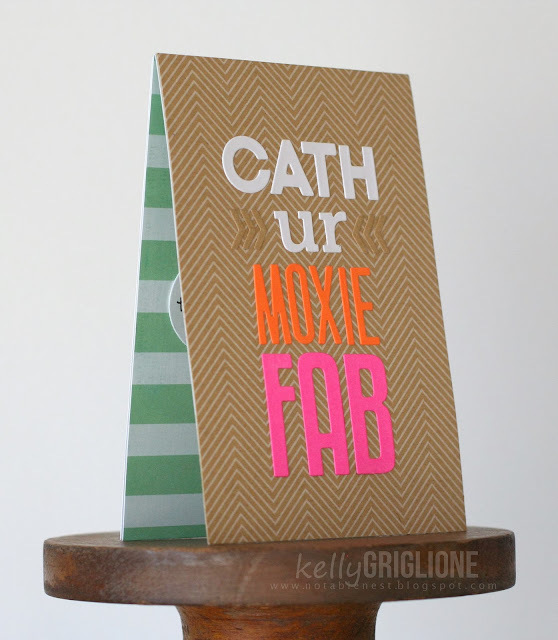 I'm beyond sad that you are leaving your Moxie Fab World. If you are hopping along, well done, you're over a third of the way there! You should have come from Dana Warren's blog. 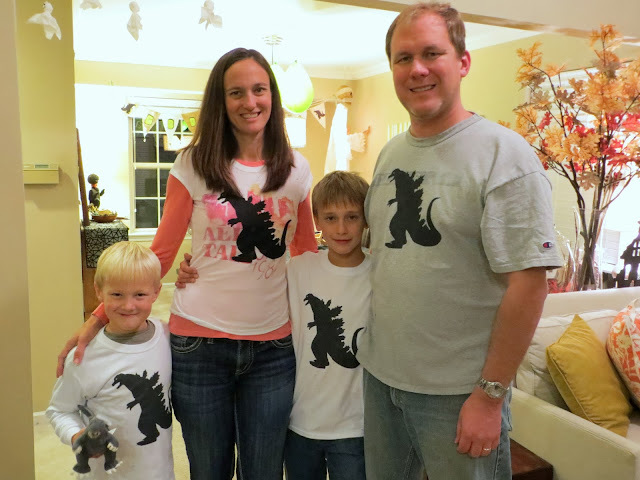 Now you're on your way to see what Taylor Usry has made to honor Cath. Happy, HAPPY, belated birthday, my friend Tracey! I'm sorry this is so late in coming to you! Joyce from Cards-by-the-Sea did such a great job organizing this birthday celebration, and told us way ahead of time, but it's been a crazy, crazy month for me. On the other hand, there's no way I could miss saying Happy Birthday to Tracey! It was the first time using two My Favorite Things Die-Namics dies ... High Rise Upper Case Alpha and Peek-a-Boo Chevrons. Yay for NBUS! Love the large alphas, LOVE the chevrons. You can remove all the die pieces for a uniform look, or put random chevrons back like I did here. With the slightly patterned paper, I kind of like how the pieces aren't put back in the same spots. It breaks it up even more. 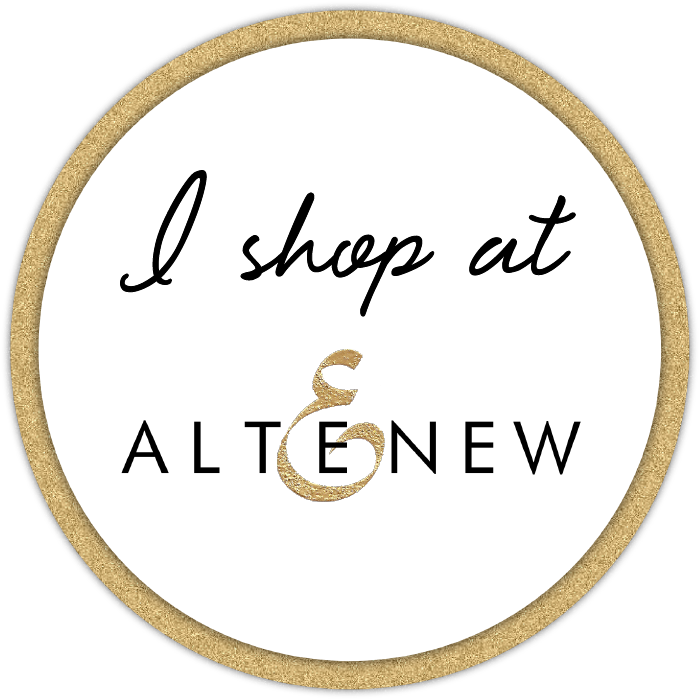 I struggled with where to put the sentiment (which is why this post wasn't updated yesterday!) and then it occurred to me to put it over the chevron dies instead of at the top of the card where they were just floating around. Still in love with using patterned paper on the inside of the card and for the envelope. Thanks for looking, and HAPPY BIRTHDAY TRACEY!!!! 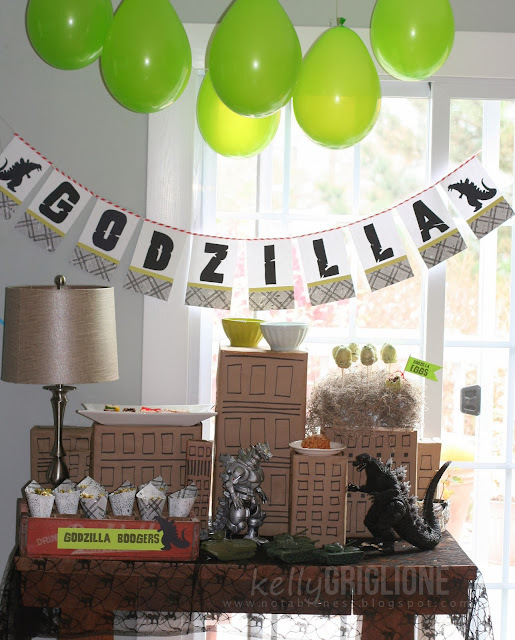 Here are some pics from the Godzilla Party we had this weekend for Jackson. 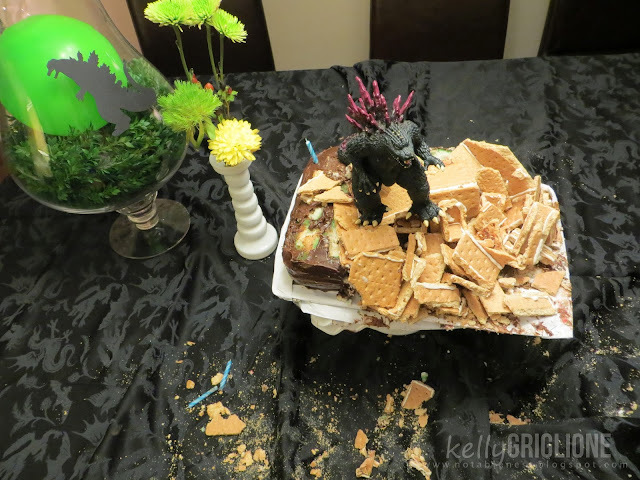 Lots of fun, but it was really keeping me from visiting anyone in blogland ... I really hope to be by soon!! I was so happy with how the bunting turned out ... cut a slit through those trendy paper straws and they totally held each banner. So easy to string afterwards. 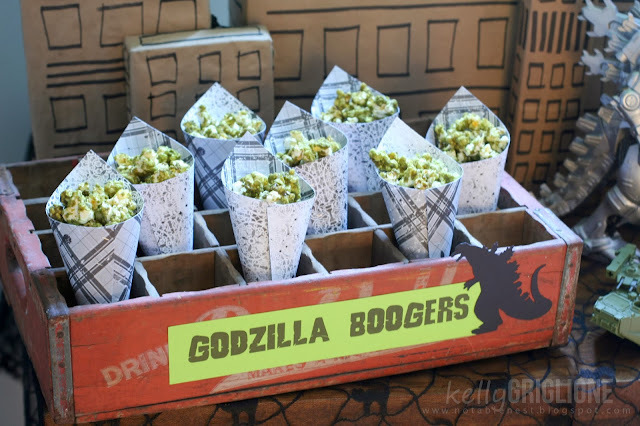 The Godzilla boogers tasted pretty good, but they weren't terribly popular. 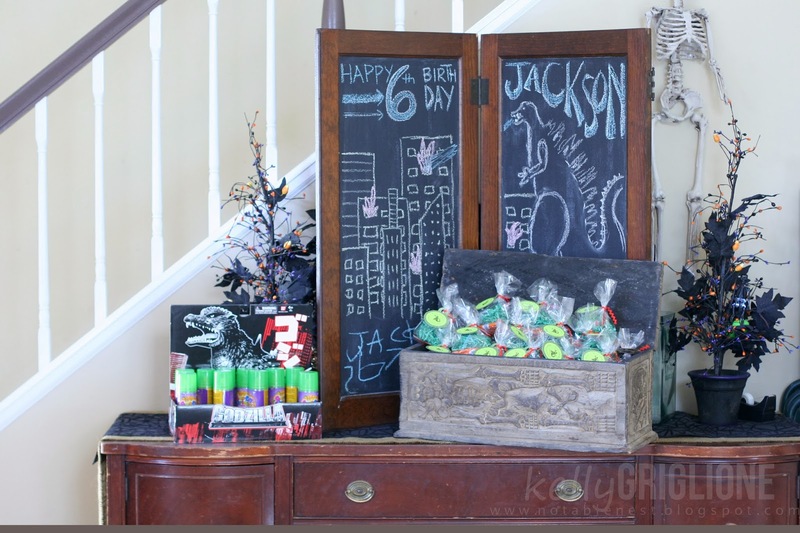 The green food coloring really threw the kids (and adults) I think. Pin the Fire Breath on Godzilla. 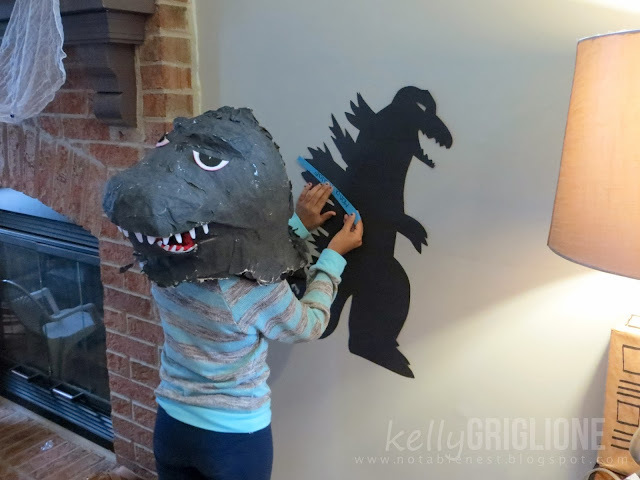 The kids had to wear Jackson's Godzilla mask backwards so they couldn't see. 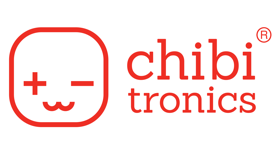 Made for some funny pictures! The winner was a little difficult to call. The cake was really fun to put together. Graham crackers and royal icing made the city somewhat easy to make. 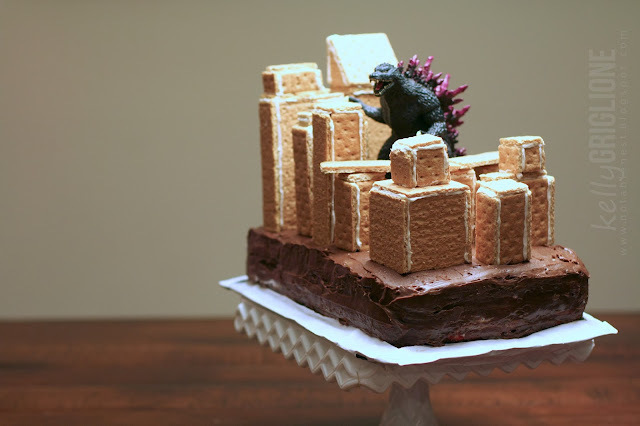 Godzilla totally destroyed the city after the party. 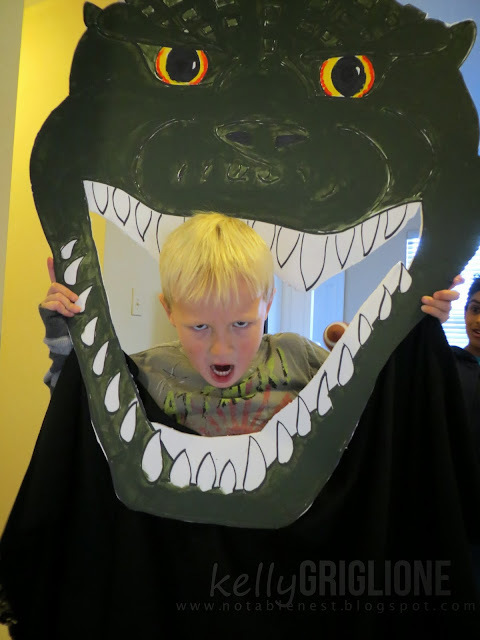 Godzilla's fire breath maze. 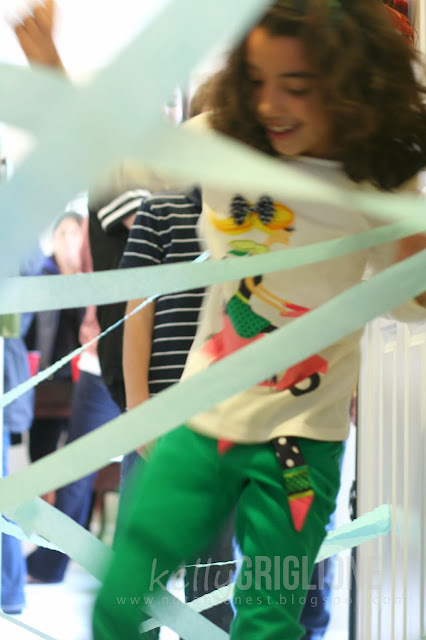 The younger kids did just as well, if not better, as the older kids. 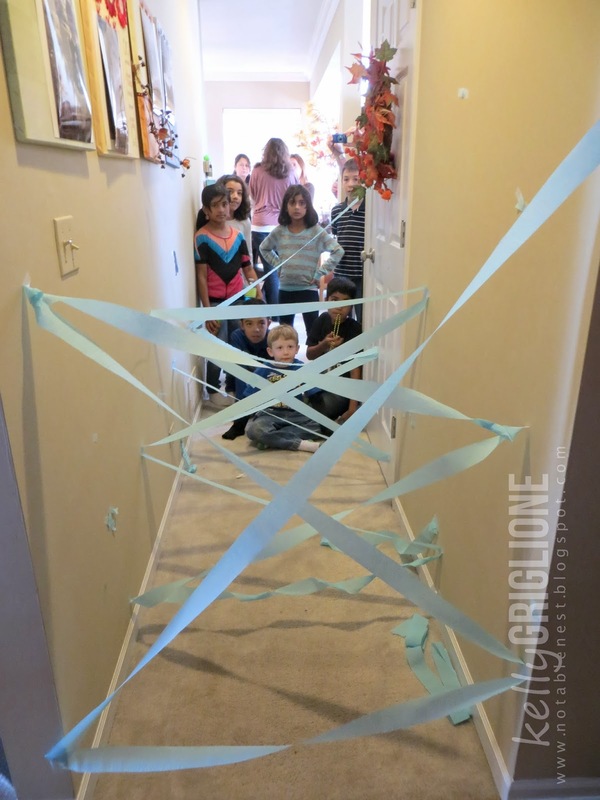 The kids really had fun with this one and did it multiple times, until the end when they all ran through it at once. Group photo time! 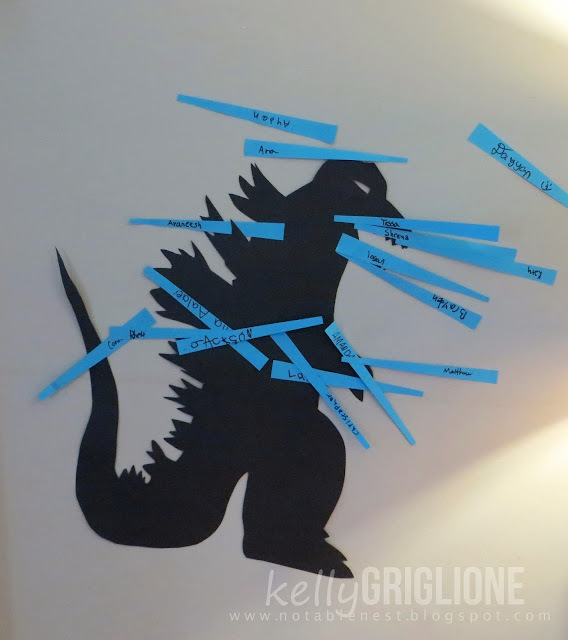 I used the Silhouette to make Godzilla stencils for everyone's shirts. 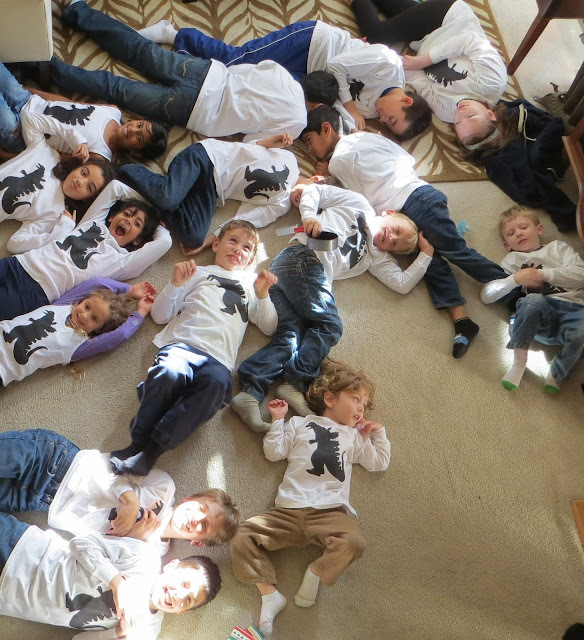 We tie-dyed them during the party.